In the early 1800s Michael Faraday as a teen apprentice bookbinder attended nightly scientific lectures at the Royal Society in London. He wanted to be a scientist. He attended one set of lectures by Sir Humphry Davy and as a tribute, annotated and elaborately marbled and bound them in leather. He then sent the 300 page volume to Sir Humphry. Sir Humphry was impressed and remembered Faraday, and one day offered him a position as an assistant. Farady went on to discover electricity and the electric motor. The book is still on exhibition in London. Obviously this was a situation where presentation made all the difference. We aim to give you something to hold and to feel proud of. Something that you have not only written, but that will encourage others to open and admire, and to remember. It is also becoming an increasing source of concern amongst those that are informed that modern electronic digital files are not archival, and might not even be accessible in under 50 years time. Lets hope that Australian institutions reappraise their values like they have in Europe. 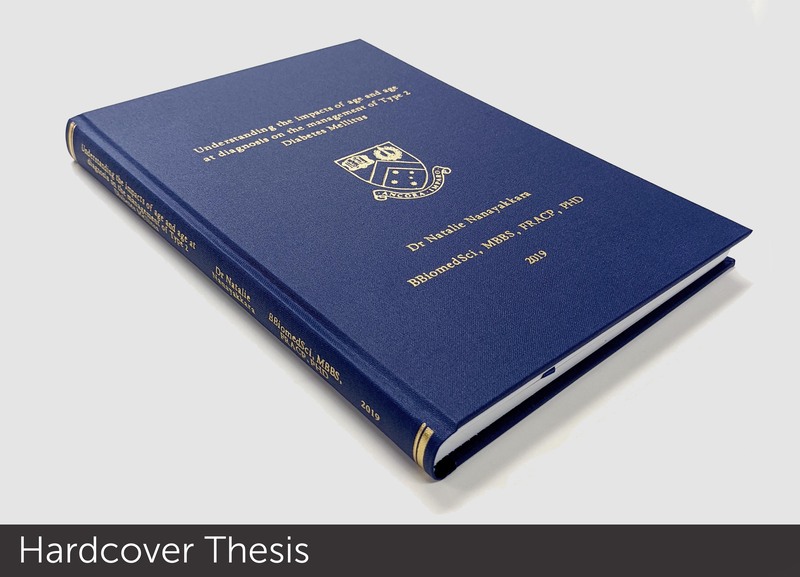 We also understand that submission deadlines are extremely important to our thesis customers. We know that many use our services because of our quality and quick delivery time. Services that most charge extra for. 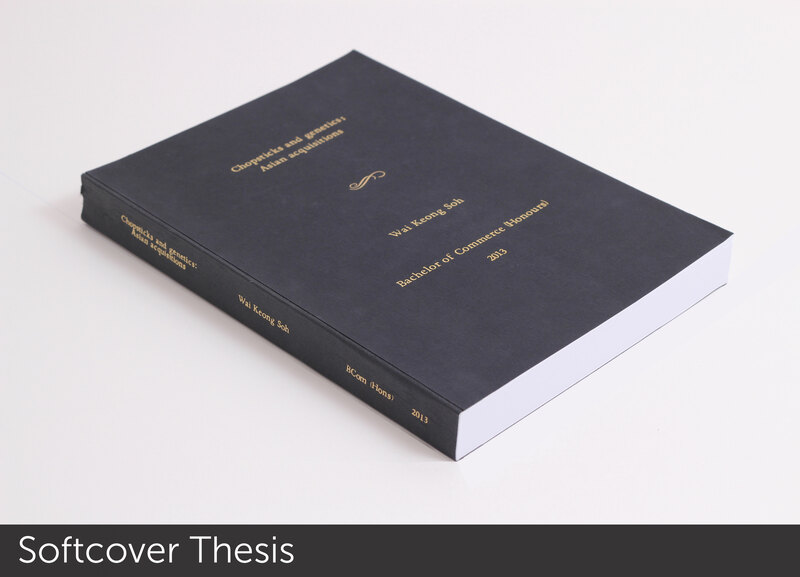 You can use our tracking facility that tells you not only when your thesis is ready to collect, but also, how it is progressing through the bindery. Now, how do I actually go about getting my work bound? 1) Bring your printed pages to us. We will assist with the requirements and will then bind the work, and you can choose to collect it, or we can mail or courier it to you. 2) Use our online automated process which generates a quote, and save yourself some time and effort. All we require is that your document be in PDF format. We print and bind and, once again, you can collect it, or we can mail or courier it to you. 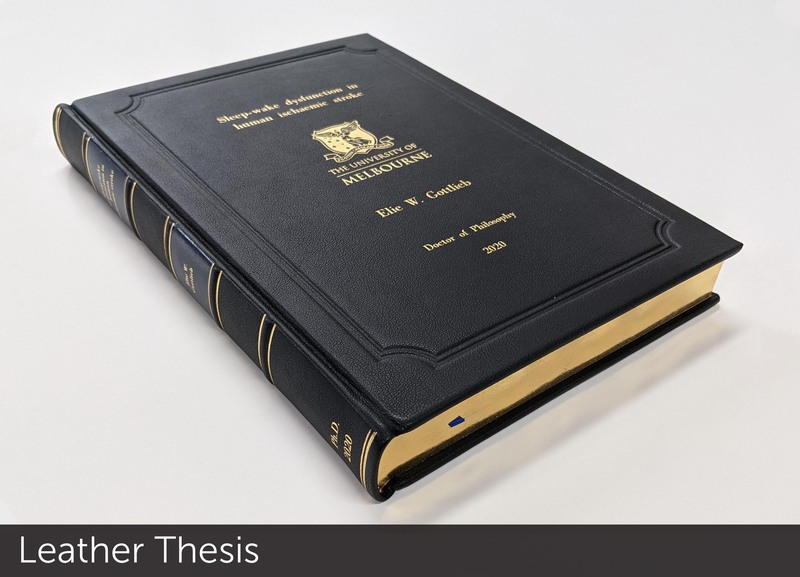 Please note that all of our theses are printed on acid free paper which is certified as carbon neutral from sustainable forests, and are sewn. Please be sure to read the FAQ for policies regarding 24 hour binding (there is no additional charge) and changes to orders (incurs charges). If you wish to use our online services, please click the "Order" button below.